Travel companies have been warned against mistreating unfortunate customers by relying on unenforceable deposit and payment demands.A lack of awareness over how much can be retained when a traveller cancels a booking is widespread, according to the Competition and Markets Authority.A company cannot automatically keep a large deposit if the customer cancels owing to unforeseen circumstances.Such a contract may be unfair, even if written into terms and conditions. For example, somebody may cancel a booking owing to illness or a family bereavement. If the travel company has plenty of time to re-sell the room or holiday, or if becomes available at a peak time, then the company should refund the payment or a hefty deposit. Any amount it charges should reflect its costs. If the company includes a blanket "non-refundable deposit" demand or cancellation fee in its terms and conditions then this could be an unfair contract, not legally binding, and unenforceable - even if the customer has signed it. 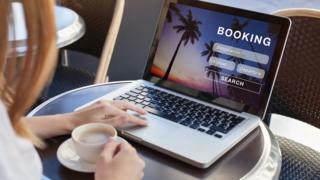 Paul Latham, from the CMA - the UK's competition watchdog, said that as many as 50% of travel firms may not be fully aware of the rules. Many smaller firms may copy terms and conditions from others, potentially leading to a proliferation of unfair contracts.The watchdog has no plans to launch an investigation into specific operators, but is working with travel trade bodies to raise awareness of the rules through its "small print, big difference" campaign.